WORK IN is your new secret weapon for winning. With access to unparalleled training data and workout bragging rights on social networks, athletes are doing everything they can to "win the workout" and keep pace with the athletes around them. Every athlete knows that training brings results, but workouts are only half the equation for high performance. 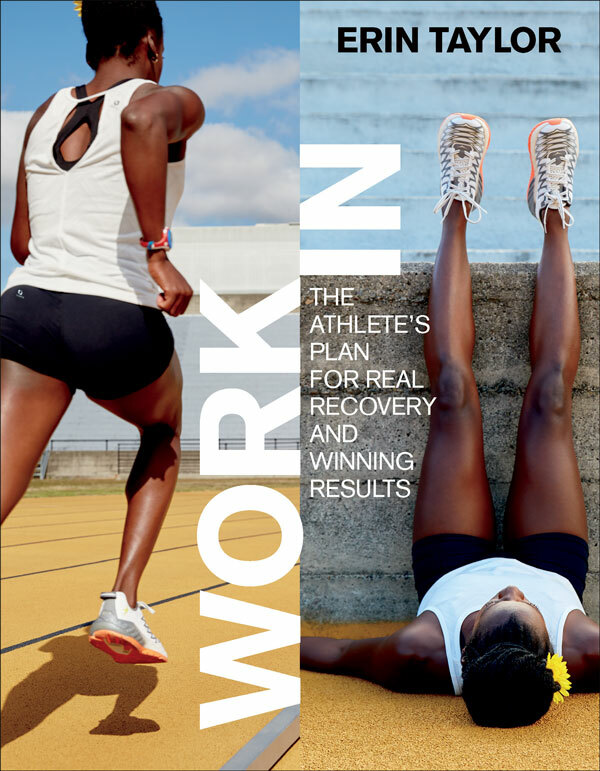 Athletes who also "work in" for full recovery gain a lot more from every workout. Work IN gives athletes a way to do recovery right. Just as athletes follow training plans, Erin Taylor shares a true recovery plan and schedule that makes rest a regular, consistent part of their training program. Athletes will see how to balance workouts with working in so they can close the gap between where they are and where they want to be. Work IN offers a 30-day plan to give you the tools and know-how to navigate meditation and restorative yoga-two highly effective ways to reduce mental fatigue and reenergize from physical effort. In as little as five minutes a day, athletes will feel the difference that real, intentional recovery makes and will start to change the boundaries of their workouts and transform their experience of the sports they love.